Central nervous system. Computer artwork showing the brain, cranial nerves and the top portion of the spinal cord. At centre is the pituitary gland (small, spherical), which secretes hormones. Either side of it are the optic nerves (yellow), with the olfactory nerves (yellow) above it. 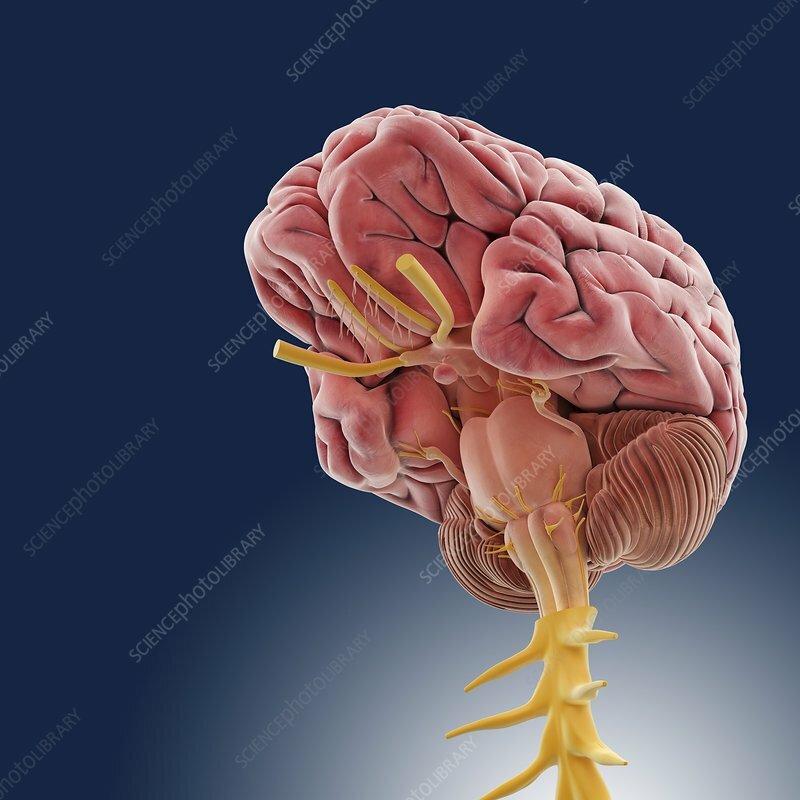 Beneath the pituitary gland is the brainstem, which controls automatic functions, sleep and arousal and relays messages from the brain to the spinal cord. The striped structure either side of the brainstem is the cerebellum, which controls muscle coordination and balance.